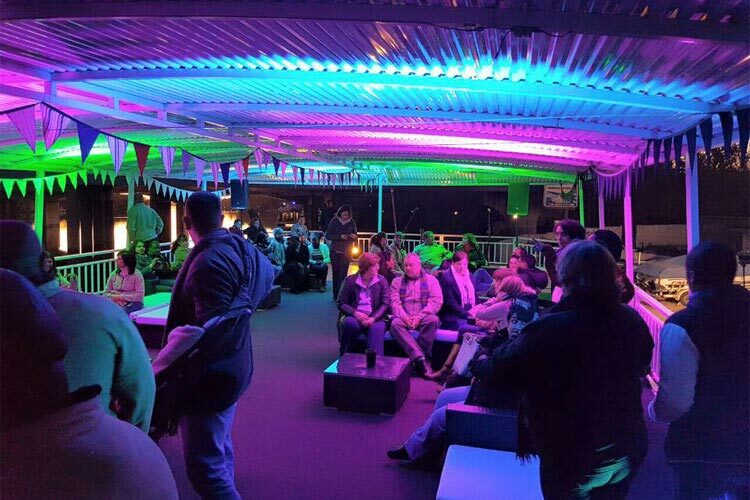 If you are looking for a different and unique corporate events venue, then the Liquid Lounge is the perfect choice. 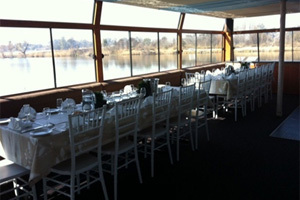 The Liquid Lounge is a floating corporate events venue operating on the Vaal River in Vanderbijlpark (Just 70 km’s South of Johannesburg) What makes the Liquid Lounge a different and unique corporate events venue is the fact that you can enjoy a mouth watering meal whilst enjoying a languid cruise along the Vaal River. It is the perfect setting offering something completely different than the usual corporate event venues. The Vaal River is a 56 km section of navigable water that boasts serene nature and some of the finest real estate in the country. You will also enjoy the cruise so much more due to our service offered along with competent and friendly staff. 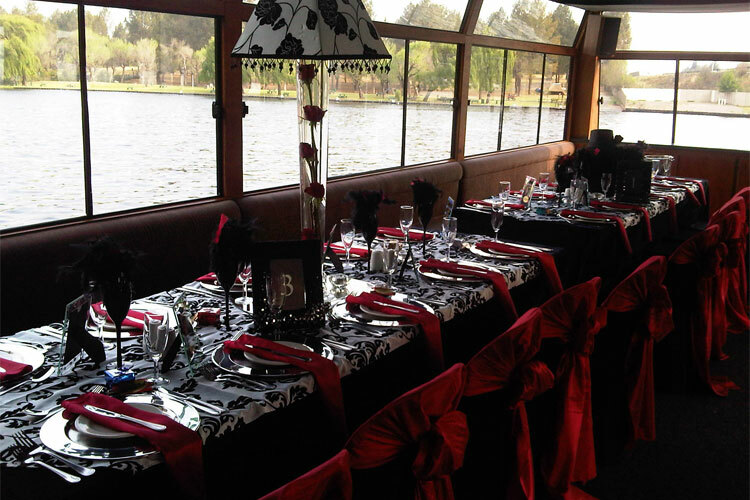 If you are looking for a different and unique corporate events venue, cruise in style on board the Liquid Lounge Vaal River Cruiser. We are renowned for our wide range of themed entertainment packages that adds to the “cruise and dine” experience. 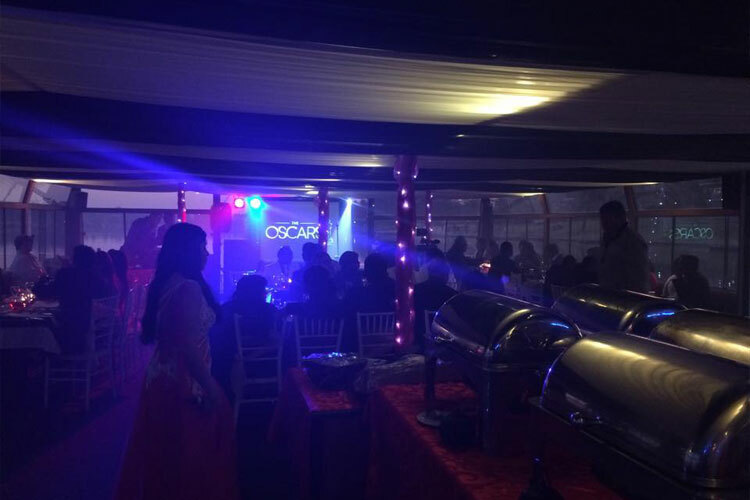 Due to our excellent venue facilities, which include seating arrangements for 120 guests, bar facilities, buffet station, dance floor, awesome sound system for the all night parties, lower and upper sun deck, and enough bathrooms (2 ladies an 2 gents), a variety of different themed parties can be held for your corporate event. The buffet meal served will relate to the specific theme of the corporate event held. According to the theme of the corporate event, a variety of live entertainment on board can also be accommodated, from jazz bands and DJ’s to comedians and drumworx. We even have a 42 inch plasma LCD screen if the corporate event includes presentations. It thus makes for a good choice in corporate events venue. As already mentioned, the Liquid Lounge has enough room to accommodate 120 seated guests. 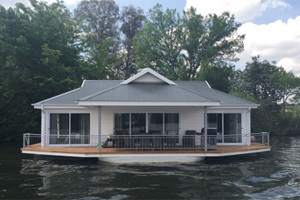 It includes a lower, as well as an upper sun deck to ensure there is more than enough room for everyone. 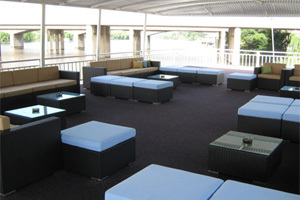 The Liquid Lounge is available day or evening cruises during the week (Monday – Saturday) to act as corporate events venue; you are thus not tied to a specific time schedule. It must be noted that a corporate event requires a minimum of 40 guests. This ensures exclusivity. Click on Corporate events Bookings to avoid disappointment and book today. We have complied with all safety regulations currently set out to us by SAMSA. We also have a safety certificate from an independent marine association that inspects the boat annually. The Liquid Lounge has 130 life jackets on board, as well as other safety equipment needed to ensure a relaxed environment for guests on board this corporate events venue. We are strict with hours spent on the boat to ensure the alcohol consumption be kept at the minimum. The safety of our guests is very important to everyone involved at the Liquid Lounge. 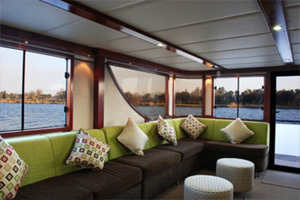 Click here and book your cruise on the Vaal River TODAY!